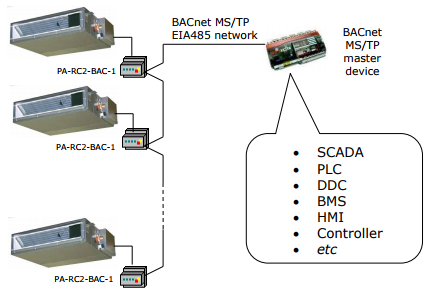 PA-RC2-BAC-1 interface allows a complete and natural integration of Panasonic air conditioners into either BACnet IP or MS/TP networks. Compatible with the ECOi and PACi line models commercialized by Panasonic. Abstraction of Panasonic air conditioning system properties and functionalities as fixed BACnet Objects. IntesisBox allows fixed BACnet object IDs mapping. 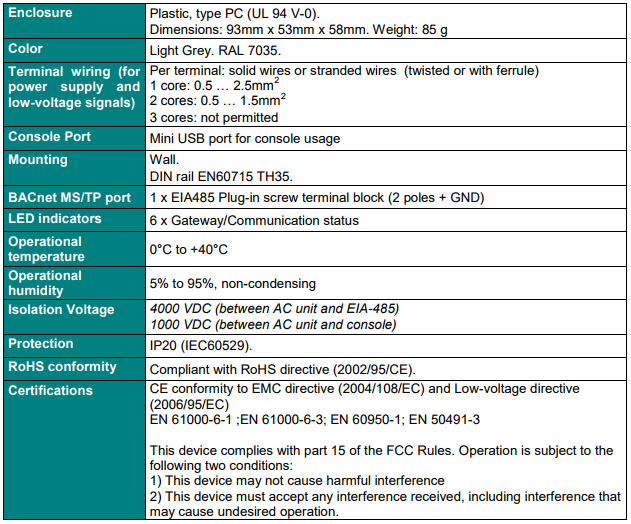 A simple configuration is needed: just select the appropriate communication parameters (MAC address, baud rate…).